Season 2017-2018 included many highlights. 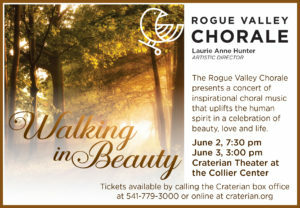 We collaborated with the Rogue Valley Symphony in a spectacular presentation of Beethoven’s Symphony No. 9. Our Children’s Chorus also performed A Christmas Cantata with the Symphony. 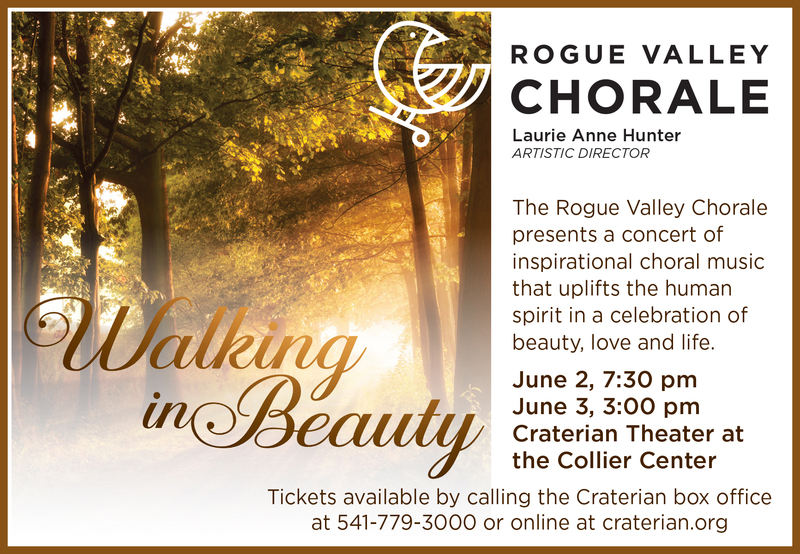 Artistic Director Laurie Anne Hunter resigned at the end of the season, and we were fortunate to find Michael Morris as her replacement. We began a commission from Joseph Julian Gonzalez to be performed during the 2018-2019 season. And we presented our third biennial fundraising event called Soiree and Song. 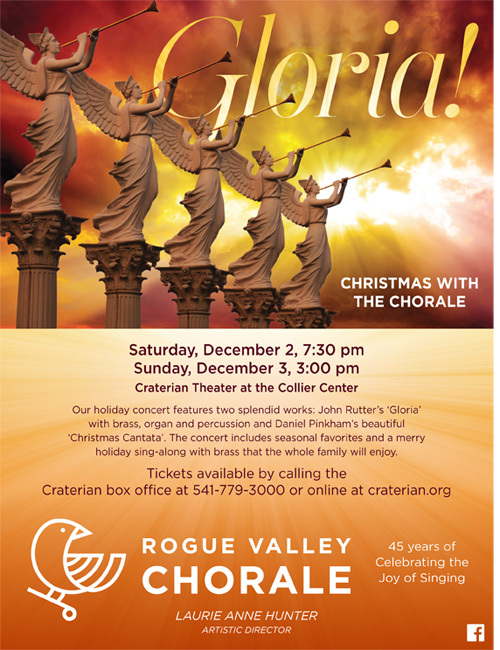 Click here to see the Gloria concert program. Click here to see the Gloria postcard. 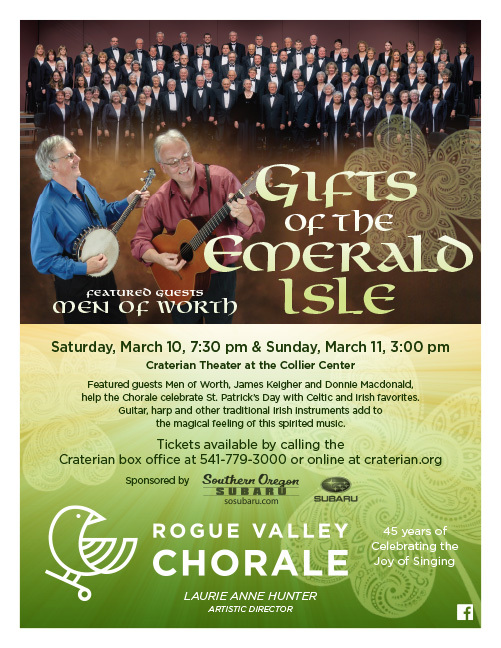 Click here to see the Gifts of the Emerald Isle concert program. Click here to see Gifts of the Emerald Isle song texts and translations. To view the Beethoven Symphony No. 9 announcement click here. 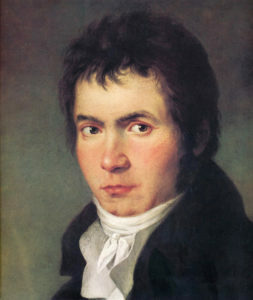 To view the Beethoven Symphony No. 9 rehearsal/performance information click here. 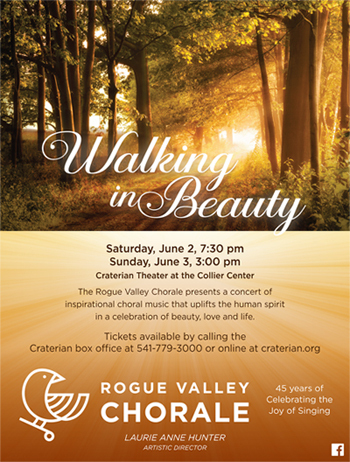 Click here to view the Walking in Beauty concert program. 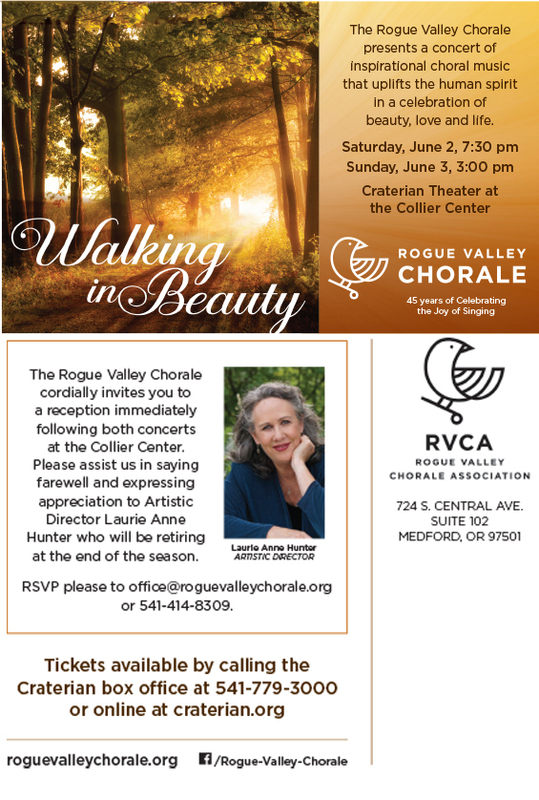 Click here to view the Walking in Beauty media ad.